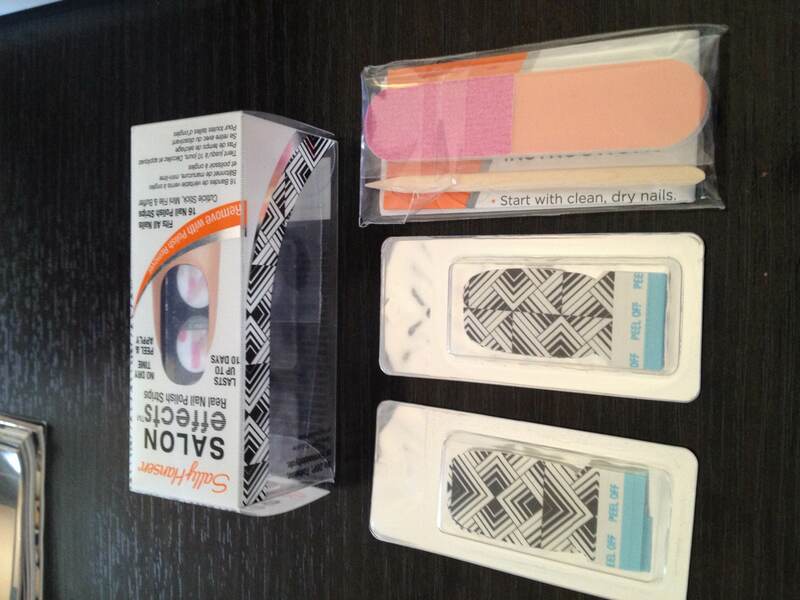 I’ve wanted to try Sally Hansen’s nail polish strips ever since they debuted over a year ago, so you can imagine how big my eyes got when my friend Tracylee, Sally Hansen’s resident nail ninja slid a box across the table during our breakfast a few weeks ago. 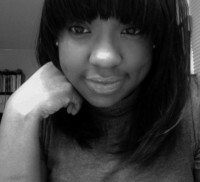 Spoiler Alert: I wasn’t fine! 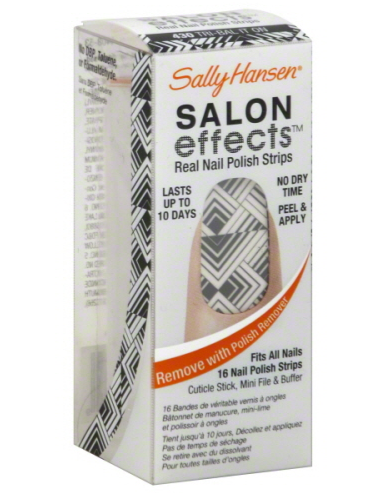 The Sally Hansen Salon Effects promise is that you can get a salon effect any time, any place without the inconvenience of a ‘dry time.’ The kit, which retails anywhere between $7 – $10 comes with 16 nail strips, a mini nail file and buffer, a cuticle stick and a set of directions. When I looked at everything laid out on my desk, I thought “hmmm, this seems really straight forward,” but I started to have some trouble as soon as I began the application process. I was following the instructions, but I wasn’t quite getting that salon effect. Some of the strips weren’t fitting perfectly on my nail bed so when I went to press them down a bubble would appear at the top, like the bubble that appears in the back of your jeans when they fit you perfectly every where EXCEPT in the waist area. After getting about three of the strips on, I grew frustrated and texted Tracylee, who tried to steer me in the right direction, but not even Tracylee’s expert play-by-play could save me from myself. And while I may not have gotten off to a great start, I decided to tough it out and finish the job. When I was done, I begrudgingly sent Tracylee a photo and she told me that “it wasn’t that bad,” but I know she was just being polite. By now, I’m sure you’re looking for a photo of the end result, but it was too horrific to share. However, I did keep them on for a few days because all of my immediate post-Sandy meetings were cancelled and I didn’t have anywhere to go. Verdict: Buy. 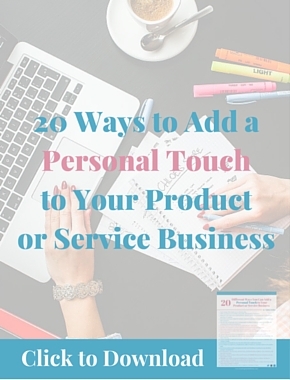 But make sure you have back-up nail polish nearby. Even though I had a difficult time with them, I still think it’s a great product and that I may have better luck with the application the second time around. 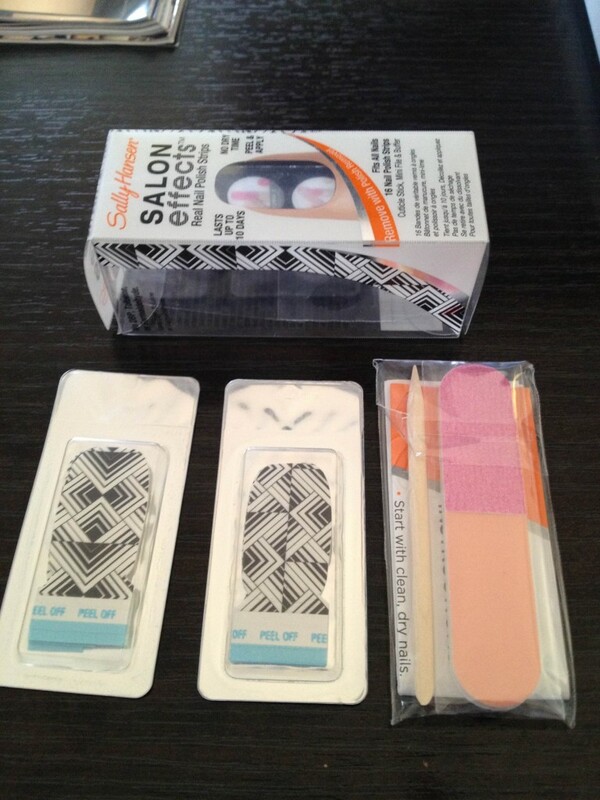 The salon effects line is great for someone who loves d.i.y. nail art but doesn’t have a steady enough hand, or someone who wants to upgrade from a traditional solid color mani. But don’t be fooled by the ‘no dry time’ lure. This is NOT a product for someone who is pressed for time unless they’ve tried it before and have already mastered the application technique. If that’s not you, make sure you don’t have any immediate plans scheduled. 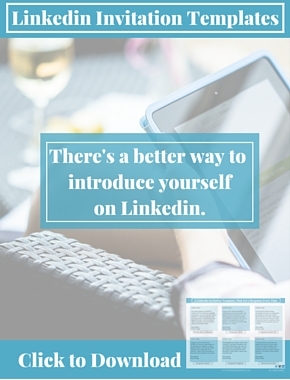 Otherwise, you may end up late to your meeting with a jacked up manicure.